Brooklyn ambient/post-rock ensemble Forma offer up another set of gorgeous, blissed-out soundscapes with Semblance, a worthy followup to 2016's excellent Physicalist. 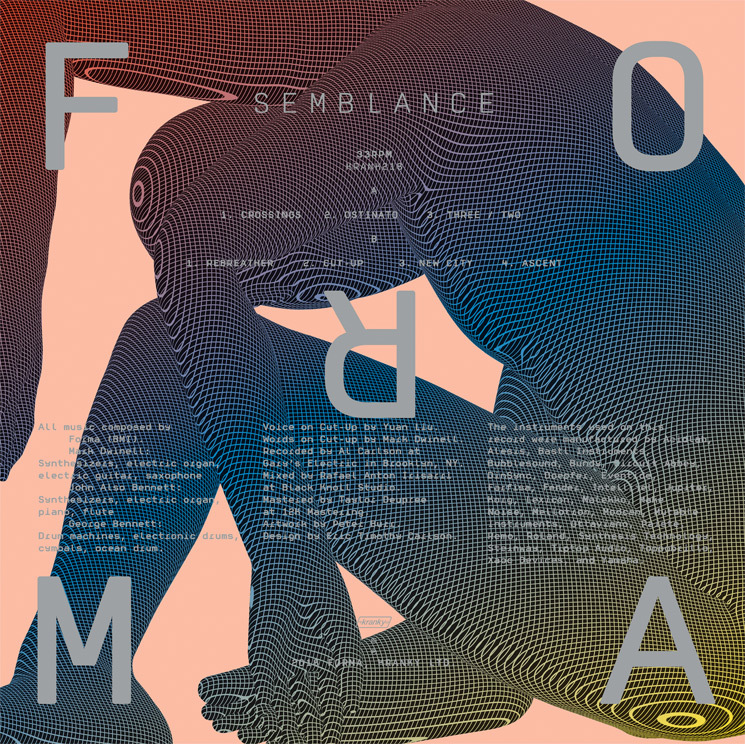 That album saw the group expand their vision considerably, and while Semblance doesn't break new ground in quite the same way, it explores more fully the directions hinted at by its predecessor. Exploration is definitely a fitting metaphor for Forma's work. Indeed, with the right pair of headphones, tracks like "Ostinato" and "Three-Two" will make you feel like you're floating over the surreal geography of a lucid dream, with new contours materializing as the track unfolds. Things get a bit more urban on "Cut-Up," which features a more mechanical beat and some garbled vocal samples, but things generally stay pretty soft and serene on Semblance. Like its predecessor, the album also features a handful of tasteful acoustic elements complementing the vintage synths and drum pads. Bagpipes unexpectedly sweep in for a brief but gorgeous sequence on "Three-Two," for instance, and flute and piano make appearances as well. These familiar, real-world elements anchor things nicely, and, along with the analogue nature of the various synth and drum sounds, give the album a warm and relaxed vibe.